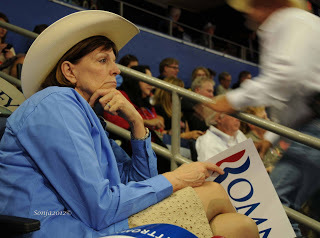 Toni Anne Dashiell was elected as the Texas GOP National Committeewoman on April 6, 2013. She is the current Chairman of Kendall County Republican Party and is past president of the Texas Federation of Republican Women. 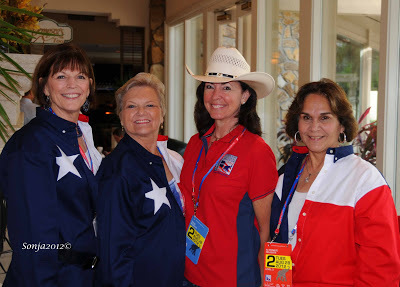 The SREC representatives gathered for a special election in Austin, Texas just for the purpose of electing a committeewoman because of the untimely death of Borah Van Dormolen. Dashiell will now represent Texas at the Republican National Committee through the end of the Republican National Convention in 2016. 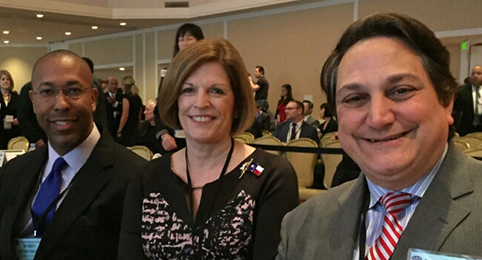 I have had the opportunity of knowing Toni Anne for several years since I am a member of TFRW, one of the strongest Republican organizations in the nation. I can tell you from personal experience that Toni Anne is a strong woman and a staunch Republican. Her election to this position was not a surprise to me and probably not to those who know her, as she is a determined and goal minded individual. 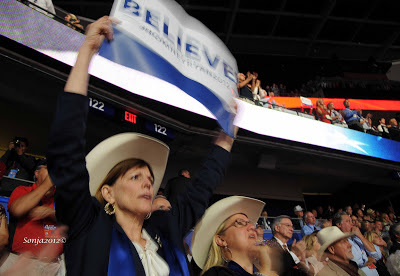 The photographs I am using were taken during the Republican National Convention in August 2012. These photographs are a reminder of how fast things can change in the political arena. While we were talking and discussing the coming election of 2014, it struck me that we have to believe that we can. That we can win. That losing the November election should make us more determined and more aware of what we have to do to win. NOW THAT YOU HAVE BEEN ELECTED, WHAT WILL YOU DO DIFFERENTLY THAN YOUR PREDECESSOR? WOW, Borah Van Dormolen was an incredible woman that went across Texas, across the United States. I have been doing that and want to continue to do that. 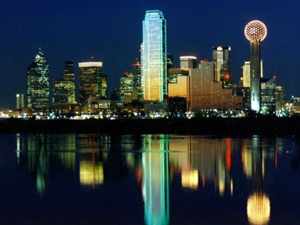 I will focus in Texas. But one element that I want to incorporate, enhance just what she might have been doing, maybe some conference calls or Skype to get small groups of people in senatorial districts and listen, ask for ideas and start putting that together and sharing that with all levels, from local to state to national level. Really engaging with the grassroots on a small level, like mini town halls. I would like to make the conference calls smaller. Sometimes you get so large that it is hard to get the questions in. I’m going to put this together, starting in May. I am really going to work with all groups. I want to really start putting all the parts together, the Ron Paulers, the Tea Party; we have many things in common. And if we build on our commonality, we only increase our votes. We increase more people getting involved with the party. 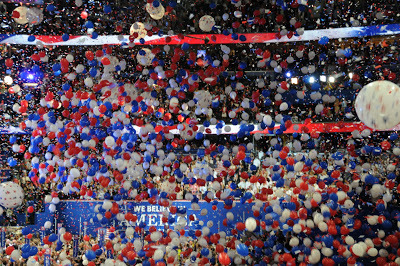 WHAT DO YOU THINK REPUBLICANS HAVE TO DO TO WIN IN 2014? We have got to focus on getting out there with the grassroots and going out there and reaching people that we have never reached before. And having dialogue and getting them one by one. And we have to work that one by one fast. I saw this at the RNC, but what I feel is that we have to make this personal. We have to get out of our box get out of talking just to the choir and start establishing personal relationships and talking to the people. How they understand it. Typically, we are very logical and we like facts but people get glazed over. Most Americans don’t know all the facts. They want to know how is this going to affect me. Until we come up with the language and the message on how it is affecting you personally. We have to bring it into their light, so they can relate to it. We just have to knock on more doors; we have to be out there. I think we have to take our tradition, which is block walking and phone banking and blend it with the social media to get the young people, but we have got to start knocking on doors again and we have to see them face to face. WHAT DO YOU THINK OF WORKING HARD TO GET THE HISPANIC VOTE? I think getting the Hispanic Vote again is going to be building relationships. Instead of giving money to a project to a Hispanic organization that is trying to develop a park or trying to do something within their church, but they need money. Instead of giving the money, let’s work side by side and let’s help them raise the money together. Then they can see our compassion. They can see that we care and then they can see that we have many things in common. We then start building trust and they can come to us and ask us questions. DO YOU THINK WE HAVE TO CHANGE THE REPUBLICAN PARTY PLATFORM? ABSOLUTELY NOT! We do not change our platform. I think all issues are important and again I go back to the fact that we have many parts. Every part makes our party stronger and we do not compromise our values and our beliefs, NO. PEOPLE DO NOT WANT TO COMPROMISE ANY VALUES ESPECIALLY SOCIAL VALUES. We have to work on this now. And I see the organization coming together. We energize our base. If we lose, if we lose it, then we are going to start losing our platform base. Our platform is not going to change, but we will not be able to maintain it. WHAT EXACTLY DO YOU MEAN BY ‘TO MAINTAIN IT’? What I am saying right now is that we have a platform we can keep because we are the majority in Texas, we can keep it. The conservatives have control. We can continue striving to keep a conservative agenda going forward. If we start losing the elected officials, they will start going to the Democrat side. We will start losing those conservative values and they will start pulling them to the middle and then to the Left. That is why we have to get our base out there working or we will lose our platform. DO YOU SUPPORT TERM LIMITS FOR OUR TEXAS LEGISLATORS? Are you talking about these bills that are in legislature right now? I think that the intent is good, but I am not sure that limiting a state wide elected official to only two terms total in whatever offices. I am not sure that that is enough. As I understand how the bill reads, is that if you did one term as Ag Commissioner and you can only go one term as Lt Gov or one term as governor, then you are finished. I think you need a little more time and not to limit it so close. I don’t think that is right for that person that is in there trying to accomplish their goal. And it is not good for us because we are turning them away too quick. WHAT DO YOU THINK OF BATTLEGROUND TEXAS? You mean the Democrats coming in with the 200 people they have here? I think that we can not take that for granted. We have to work harder because they are registering people to vote. They are building those relationships that we should. I want them to know that I want to see a grassroots led organization. I felt that they were moving in that direction in the RNC. In the short time that I was there, I think that there is still need…they came out with the Growth and Opportunity Report and if we can keep their feet to the fire to accomplish the recommendations and goals they want to reach, I think we will have a grassroots led organization. We want to go from the grassroots up not from the top down. We have to believe that we can win with hard work and a more positive message. YES, WE CAN BELIEVE IN AMERICA!